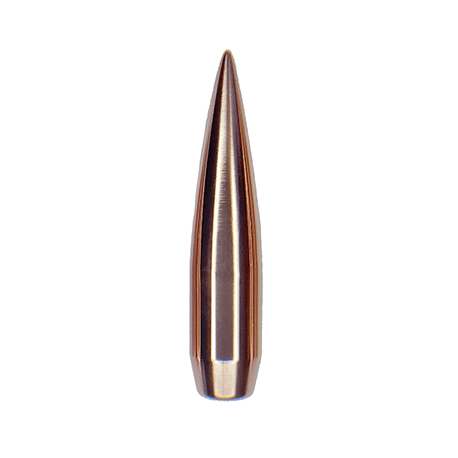 In addition to Peregrine Bullets’ Solid Copper Bullets range, Peregrine Bullets offers Solid Brass reloading bullets for the purpose of hunting large and dangerous game with magnum bolt action rifles for velocities greater than 2700 fps. 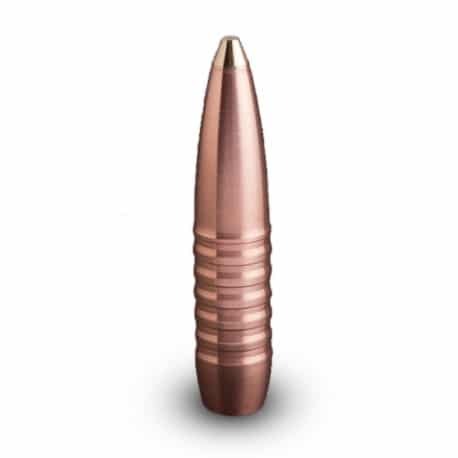 This bullet is of particular importance to hunting outfitters and professional hunters as it is perfectly suited to provide backup support to seasoned clients as well as first time hunters of dangerous game. The meplat nose design adds to the impressive stopping power and knock down effect of this bullet. When determining which bullet from the Peregrine Bullets range (i.e. 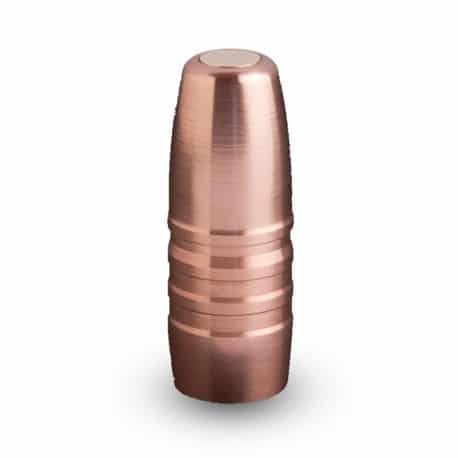 either solid brass or red copper) to utilize for the purpose of hunting, the hunter needs to establish the velocity at which he/she needs to shoot in order to achieve terminal effect. In order to effectively stop large or dangerous game, a bullet needs to penetrate in a straight line with sufficient velocity to give the professional hunter the ultimate stopping force and knock down effect. The bullet was designed for magnum bolt action rifles with velocities greater than 2700 fps. 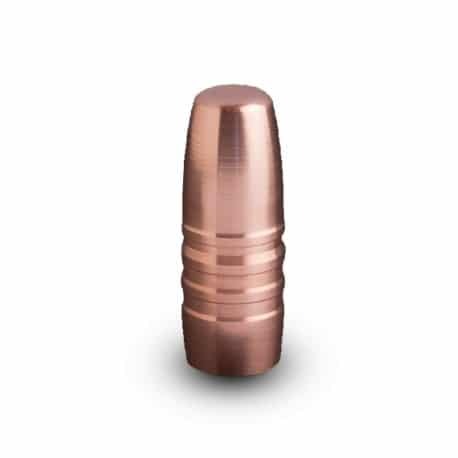 The Peregrine Solid Brass reloading bullet family offers exactly what is required.